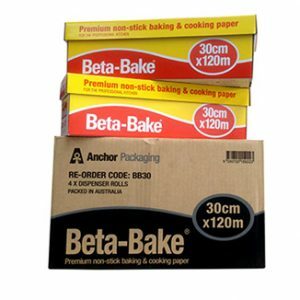 Beta-Bake Premium Baking and Cooking Paper is perfect for the kitchen professional. The non stick surface saves you time by not having to grease the paper before use. Each roll size is 30cm x 120m. Suitable for hospitality, restaurants, bakeries or even at home.